This Late Roman Infantry Inlercisa II Helmet is a slightly-updated form of what became the typical Roman soldiers helmet. The difference between the two is that this helmet protects a larger area, thanks to its nose guard and larger flaps. As was typical for the Romans, they often sought the most direct and effective method of doing something, and in that regard, they succeeded in making this an effective and straightforward helmet that was quite defensive in nature. 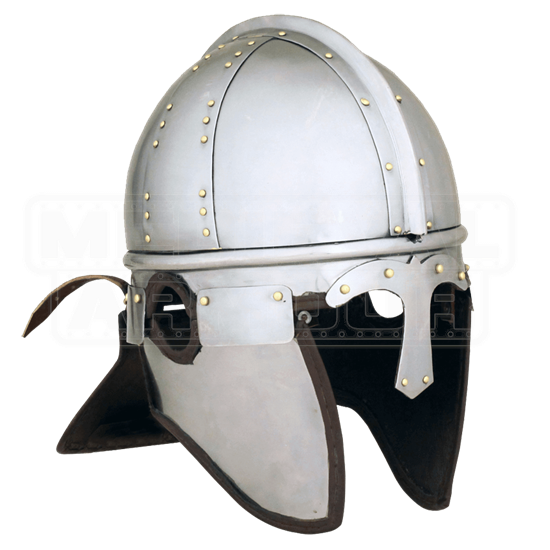 The rounded crown is perfect for guiding blows away from the head, while the ridge down the helms centerline adds strength and reinforcement where necessarily. Additional rivets add further strength to the helmet, while the wearers face is protected by an unobtrusive nose guard. The sides of their face are protected by two hanging flaps that feature cut-outs to retain adequate hearing, while the back of their neck is protected a third flap. This simple yet effective helmet is made from quality metals and features a polished metal finish that gives the helmet an impressive look. 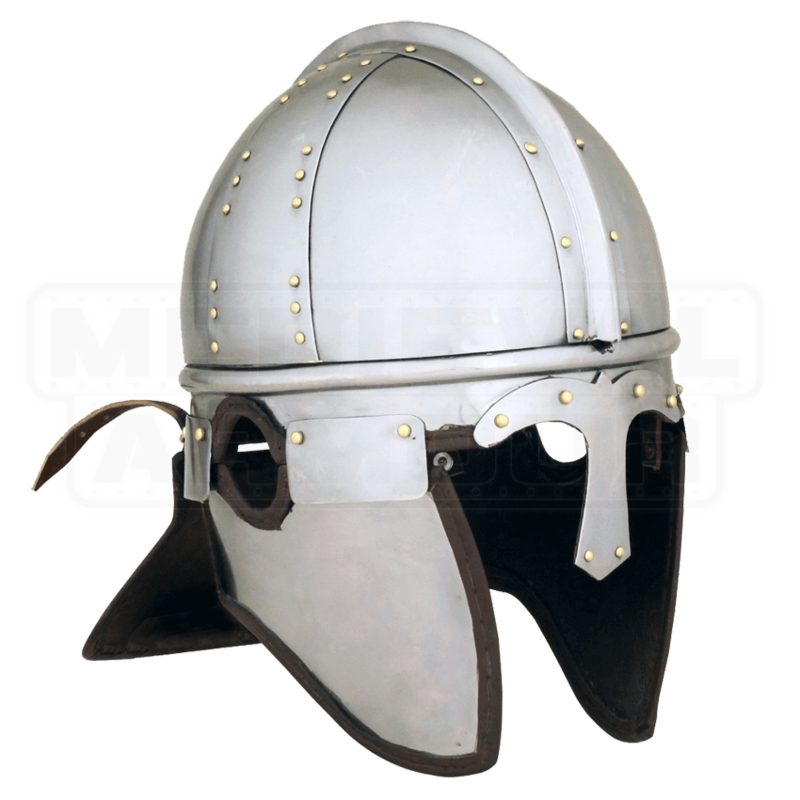 If you are looking to ride into battle dressed like a Roman trooper from the later years of the empire, then you will need this Late Roman Infantry Inlercisa II Helmet, and even if you are not a reenactor, enthusiasts and collectors can still benefit from adding this impressive piece to their collection.